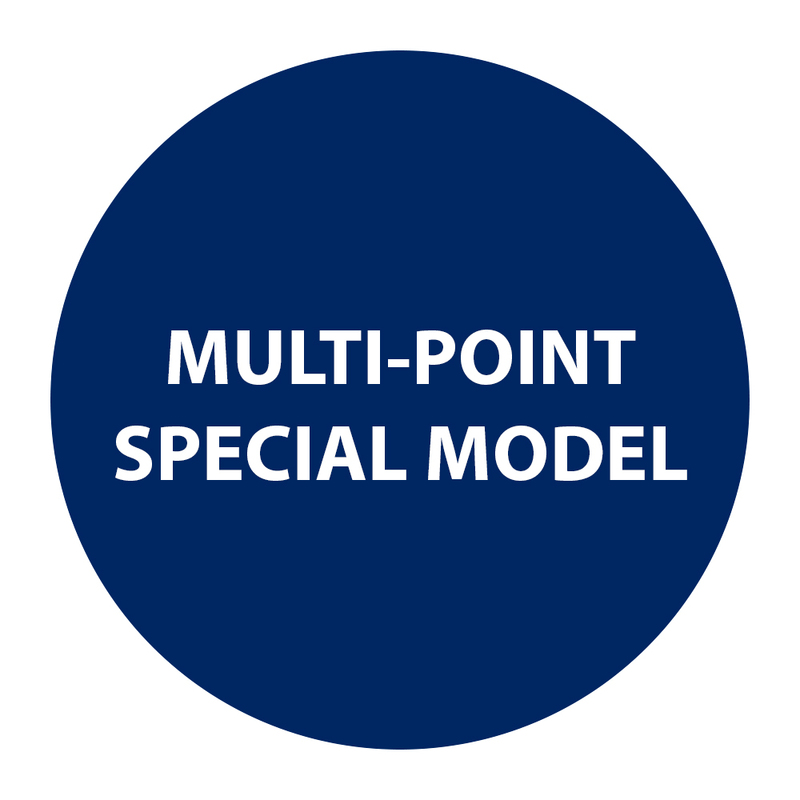 Multi-point special models have been created to meet some common and special needs. Additional Securitech multi-point lock models are created on a daily basis to aid architects and specifiers in meeting safety, security, and durability needs. Contact us to customize your multi-point locking needs. Multi-Bolt™ locksets are available in a wide variety of configurations. One of the most popular applications is as a key lockable flushbolt- the cylinder can project deadbolts into the header and saddle. This is commonly used on the inactive leaf of a pair of doors. The Multi-Bolt™ customization can meet almost any need. Special models have been created to meet exacting testing requirements. The Hurricane-Tornado model has been tested and approved for use as per FEMA standards for severe windstorm applications. This lockset was created to meet several special needs defined by New York City Housing Authority. The interior trim contains a cylinder to prevent locking the door unless a key is used. The inside lever retracts the deadbolts at all times. The exterior trim does not have a provision for a cylinder and is designed to prevent break-ins by people climbing over adjoining balconies.